Why do concrete voids and sinking occur? 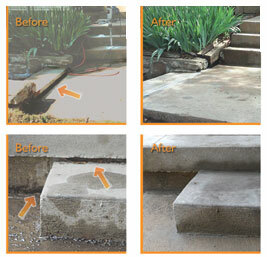 Mudjacking is a cost effective alternative to tearing out and replacing sunken concrete slabs and is minimally disturbing to the surrounding areas. Completed in just hours, this method requires less equipment and manpower, in comparison to days with a newly poured concrete pad. Contact Foundation 1 today to set up an appointment to have a free evaluation at your home.